Instill in young people life values and help them develop ethical character as expressed in the Scout Oath and Law. Serve America's communities and families with quality values. 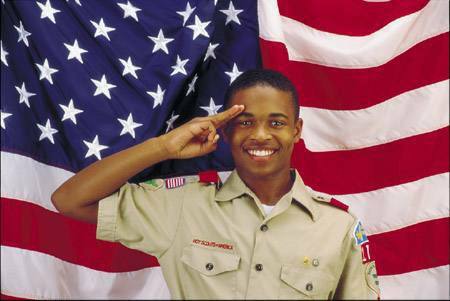 Our vision is to be recognized within the communities we serve as the premiere youth organization, carrying out the mission of the Boy Scouts of America. We will make first-class programs available to all youth within the Central Valley communities of Northern California. Program results will have dramatic, positive effects on the youth, leaders, and families we serve, building strong communities with caring citizens. The vision for the Golden Empire Council is to accomplish the mission of the BSA in such an exemplary manner as to be recognized by our public as the premier youth organization in the communities we serve and by other councils and the National Council as second to none in all our endeavors. To extend the program to as many youth as possible. To ensure the program has quality trained leaders. To ensure the program is delivered in a safe environment. To build relationships with community institutions. To attain goals and objectives in outreach and quality. To involve as many volunteers as possible for the total program. To maintain and operate camps. To ensure a quality program through balanced activities. To finance the operation of the council and maintain accurate financial records. To employ an approved professional staff to give direction to the program. To ensure that all National Council policies and regulations are carried out.